Airstream travel trailers for sale. Thinking about taking a cross-country road trip but do not want to be stuck in a stuffy hotel? Wanting to bring all the comforts of home with you wherever you go? If so then you need to come to your local Airstream dealership in Franklin, WI and see one of the many new and used Airstream trailers. 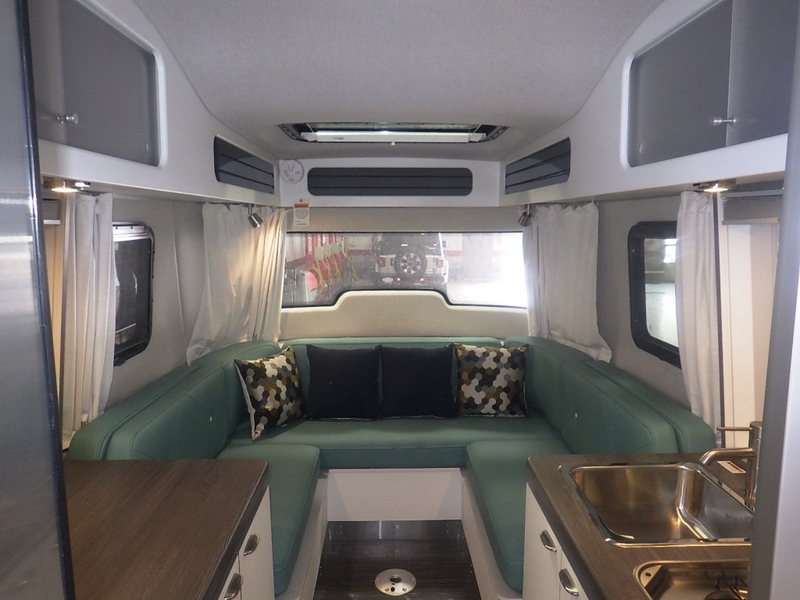 Here at Ewald’s Airstream of Wisconsin, we have a large selection of travel trailers for sale with everything from the Airstream Basecamp for sale, to the all-new Airstream Flying Cloud and everything in between. Here at Ewald’s Airstream of Wisconsin, we understand that when it comes to finding a large selection of travel trailers for sale the process can seem never-ending. Which is why we have a team of people who are happy to answer any and all questions you may have about one of the many new and used Airstream trailers for sale. That includes questions about the all-new Airstream Nest for sale here in Franklin, WI. 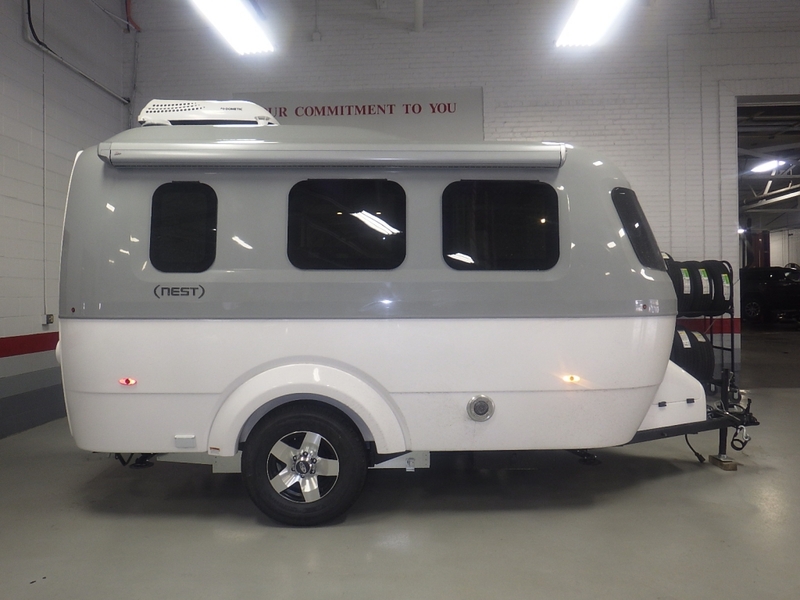 This Airstream travel trailer is the first of its kind in the Airstream lineup featuring a Fiberglass body. This Airstream for sale is perfect for those seeking to get lost in the wonders of nature. With panoramic windows and bright accent colors are perfect for any outdoor adventure. The Panoramic windows let light bounce off the stainless steel appliances creating a light and airy space and blackout curtains give you the total privacy you want. A galley style kitchen with space savers including a folding side table and a cutting board sink cover makes it a breeze to prepare and serve all of your favorite meals. With a sliding screen door, you can enjoy a bug-free breeze on beautiful days. We understand that when it comes to camping you want to enjoy the outdoors, so stretch out even more with powered patio awning. No more dealing with complicated snaps and levers, with the push of a button your canopy can fold and unfold all by itself. Lounge your day away in the shade, or stay up late in the glow of the exterior LED lights. With two outstanding layouts, you can pick the one that best suits you for all of your adventures. Let the lights guide you home after dark, this Airstream trailer for sale comes with LED entry handle and entry lights. The Airstream Nest has packed a long list of amenities into its compact design. A kitchen, full bath, places to charge your phone, and more all there to keep your It’s all so you can have the perfect travel experience, wherever your adventures take you. Just like the Airstream trailers for sale of the past this Airstream for sale is easy to pick up and move from place to place. Plus with its single axle design, you will not have to worry about needing a large truck to tow this Airstream travel trailer for sale. When you are looking for a large selection of Airstream trailers for sale, come to Ewald’s Airstream of Wisconsin and see the all-new Airstream travel trailer for sale in Franklin, WI.